With all this glorious sunny weather our pets will be eager to spend more time outdoors ‘catching some rays’. But they are not the only ones… fleas love the summer months and thrive outdoors! Summertime is ideal for fleas - with the warmth and moisture in the air, they can rapidly multiply, going from egg to adult in just 14 days! The milder winter also means that plenty of fleas will have survived outdoors, adding to the explosion of them that we see at this time of year. Wildlife such as foxes, birds and hedgehogs will be teeming with adult fleas. An inquisitive cat or dog that gets too close to a slumbering hedgehog could get more than just a prickle on the nose, as a flea may take the opportunity to try a new host – your pet! 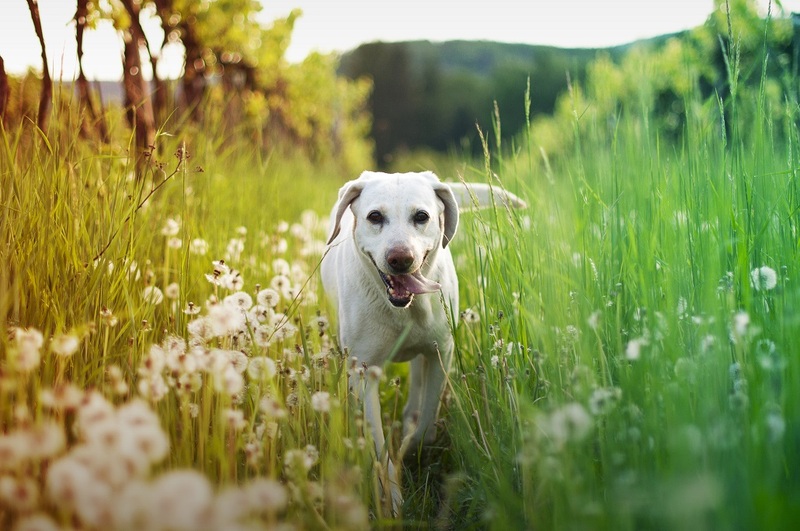 With all this fine weather, you can guarantee there will be plenty of doggy friends out and about and ample opportunities for your pooch to socialise. For our feline friends, though, it means more enemies could be lurking. Defending their territory will be their top priority! All this close contact provides the perfect opportunity for fleas to be shared amongst friends (and adversaries!). During the summer, the increased activity and warmth outdoors triggers young adult fleas to emerge from their cocoons, which have been hidden away in the soil in your gardens and local parks. Newly emerged fleas have only a few days to find a host and secure their first blood meal, else they will perish! Over the summer, this quest is easy to fulfil with so many hosts to choose from – including your pet sunbathing in the garden, blissfully unaware of the hive of activity in the grass beneath them! Enjoy spending time outdoors this summer. Just remember to keep your pet protected from fleas, by applying a FRONTLINE® spot-on product regularly.